June 9, 2016 by Ecommerce News. About Launch with tags The United Kingdom. 6526 views. Amazon has launched AmazonFresh in the United Kingdom yesterday. For months, there were serious rumors the American retailer would launch its food delivery service in the UK, but after a long period of preparing and testing AmazonFresh has finally reached the British market. 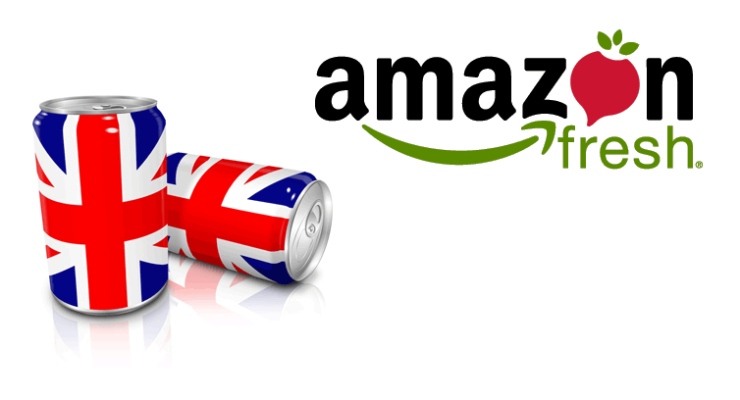 Afters months of rumors, AmazonFresh is now available in the UK, to be precise in 69 Central and East London postcodes. Amazon Prime members in these areas can order over 130,000 products and have their groceries delivered to them the same day if they place their order by 1pm. Amazon will use small and medium sized external carriers for the deliveries. It’s not to say Amazon will have an easy time persuading British consumers to order their groceries online at the American retailer. The ecommerce industry in the UK is one of the world’s most developed markets and with the big four supermarkets Tesco, Sainsbury’s, Asda and Morrisons, and with online supermarket Ocado, Amazon has plenty of competition ahead. AmazonFresh may be the real deal, but it’s certainly not the first time Amazon has offered foods and drinks to UK customers. Amazon.co.uk launched its Grocery Store in 2010, which features a wide selection of sweets and chocolate, coffee, tea and more. In November last year, Amazon UK launched its Amazon Pantry service, which offers its Amazon Prime members more than 7,000 everyday essentials, including foods and drinks. And through that the Amazon Prime Now service, members are also able to order a range of fresh, chilled and frozen items. Amazon launched AmazonFresh for the first time in Seattle in 2007 and has since then moved to several other US cities. It looks like Amazon is still trying to figure out pricing and a long-term strategy, which may explain why the company is slowly expanding the AmazonFresh service.